Optimum Nutrition Inc., was founded in 1986 by brothers Tony and Michael Costello, and is owned by the Glanbia group. The company produces an amazing variety of sports nutrition products, from vitamins and minerals, to amino acids shakes, to protein powders, to bars, and energy-promoting formulas. In fact, ON supplements, like Optimum Nutrition Serious Mass, have a reputation for being the most diverse, and popular, on the global market. Renowned for their innovative approach, the company is constantly expanding and refining existing product, according to the latest scientific research and the newest technological discoveries. Optimum Nutrition Gold Standard are well-known for using only high-quality, pure ingredients, which arrive will full certification before being tested in the Optimum Nutrition Gold Standard products laboritories. They was the first brand to sell casein protein powder and also the first to sell an all-micellar casein formula. Optimum Nutrition Gold Standard supplements are sold in more than 10,000 retailers in the United States and are available in more than seventy different countries around the world. 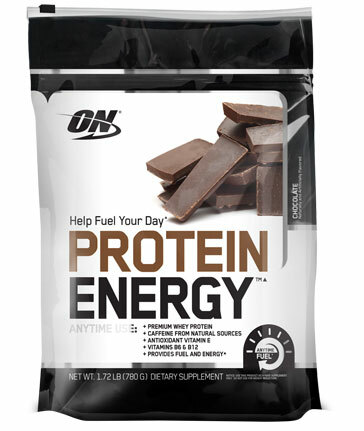 New, cutting-edge Optimum Nutrition products are released on a frequent basis. One popular recent addition is Gold Standard Plant, which supports amino acid nutrition, suitable for vegans. One scoop contains 24 grams of protein, 100mg calcium, 3.7mg iron, all nine essential amino acids in abundance, and even a whole foods grain and seed blend containing chia seed, organic buckwheat and pomegranate powder. Other Optimum Nutrition Gold Standard supplements include BURN Complex, with and without caffeine. One serve of either product contains 1,500mg of acetyl L-Carnitine, which is a fantastic clinically trialled thermogenic and cognitive enhancer, as well as 200mg of Green Tea Leaf Extract, which provides the valuable EGCG fat-burner and L-theanine, to calm the mind and keep us focused on the task at hand. Optimum Nutrition's 100% Whey Gold Standard is made up of the purest form of protein in existence - Whey Protein Isolates (WPIs). Every serving contains 24g of protein, including BCAAs and all of the other essential amino acids. Moreover, 100% Whey Gold Standard is available in an extensive range of flavours, including salted caramel, rocky road and banana creme, and in multiple convenient sizes, to meet varying demands. 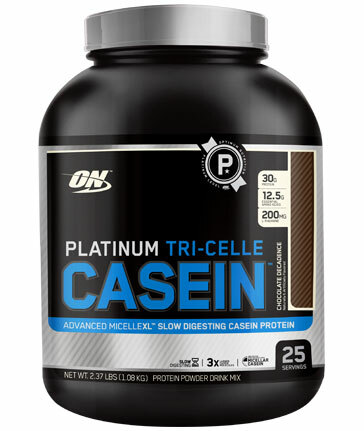 Optimum Nutrition 100% Gold Standard Natural Casein is another option for protein. Comprised of micellar protein, it provides 24g of sustained-release protein in every serving, which is helpful for post-workout, between meals or before bed. This product comes in a range of delicious flavours, such as Chocolate Peanut Butter and Cookies and Cream. Last, but further from least, is Optimum Nutrition Serious Mass. This product is loaded with calories and quality protein to ensure that every workout has the power and stamina that you need. Optimum Nutrition Serious Mass has been a staple in the bodybuilding and sports and exercise arenas since its inception and release onto the market.